C-Serv provides complete professionalism and outstanding customer service. I wouldn't trust anyone else with my projects! Rolando was great. Helpful, great attitude, and got job done. They are the best in Texas! We used C-Serve for a decommissioning (clean-up) project in our warehouse. Simple process, good quick service, friendly staff. Highly recommend. Extremely profesional and high quality work!! 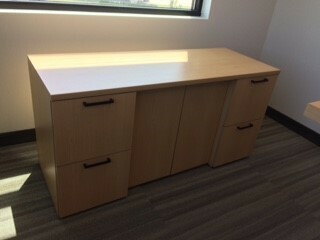 Ryan and his team came to help out my work with the instillation of our new office furniture. They were superb! Ryan was an amazing lead and made sure everything was perfect before he left. Ryan and his team were great at working fast with excellent quality! Would definitely recommend everyone I know who is in the market for furniture installation and logistics and would tell them to ask for Ryan! Very professional group of people. Easy to work with... reasonable quote, receptive to changes to add on additional tasks... and prompt set up off furniture and cubes. A+ rating for these guys!